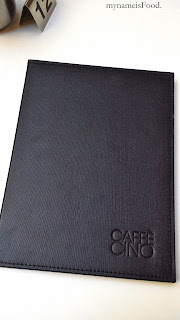 Caffe Cino, Hilton Sydney Hotel, George St, Sydney CBD - my name is Food. 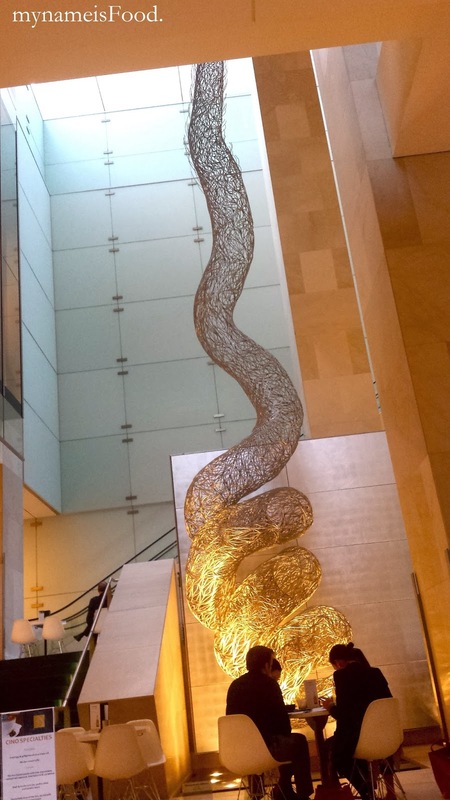 Caffe Cino is located inside Hilton Hotel in Sydney's CBD.. 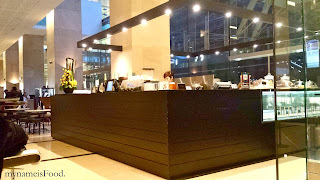 It offers a range of food for breakfast, lunch and dinner.. Coffee and cakes are also served and so we decided to stop by here after walking and shopping around throughout the day.. Designed in a sophisticated and minimalist manner, with the kitchen on one side of the seating area and seats scattered on the other side.. Opens at 7am and closes at 7pm, although may not be an ideal coffee place after dinner, but for morning or afternoon tea, or maybe even for business lunches, i'm sure it's the right place for those occassions.. 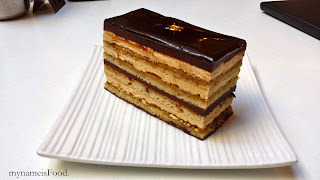 They do have a special offer for coffee & cake for $12 however I forgot whether I did take this special offer or not.. We ordered 2 coffees and 1 cake since we were still quite full from lunch and it was only about a few hours away from us having dinner.. We chose the 'opera cake' and yes, the texture and the combination of the almond sponge cake, the ganaches, coffee buttercream and the chocolate glaze definitely hit it right.. 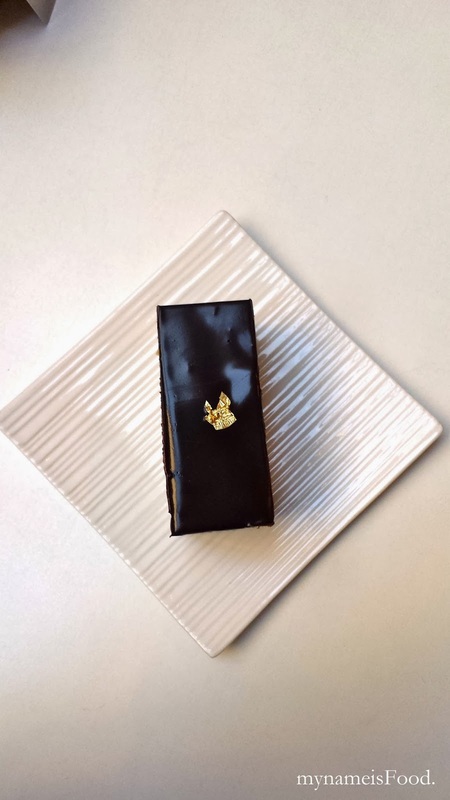 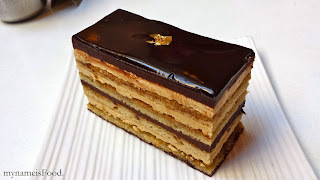 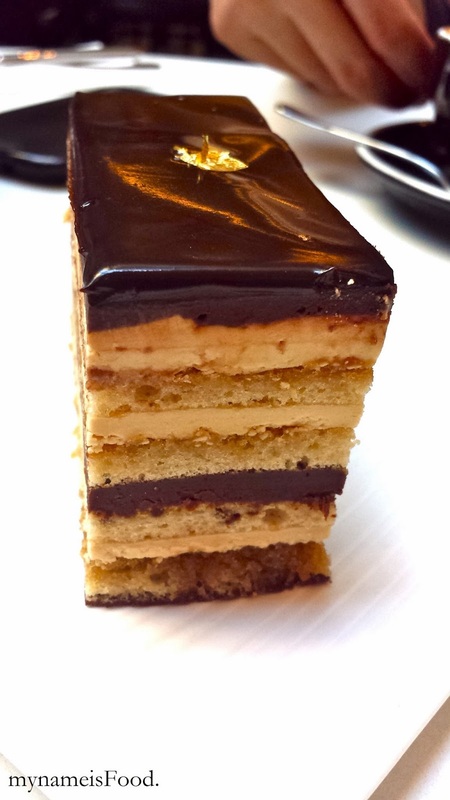 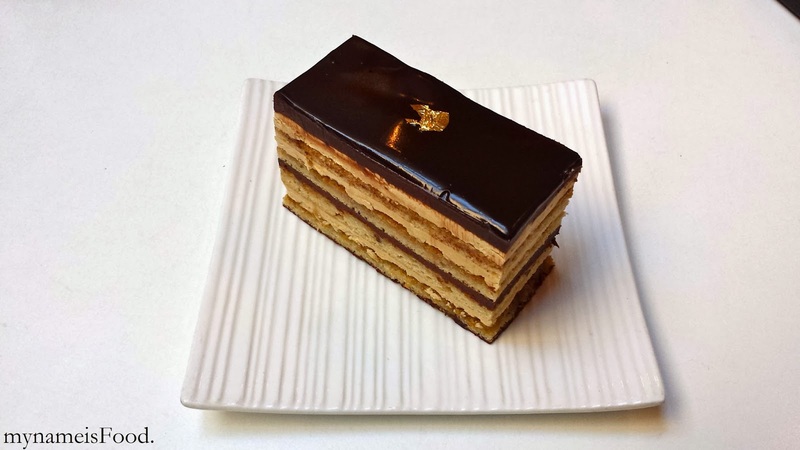 However, it was not as strong as the other opera cakes I have tried, not too sure whether that's a good thing or a bad thing.. Just depends on personal taste I guess..